Julian Jackson explores the central issue in the current election campaign for the Presidency of France: race, religion and what it means today to be French. Clichy-sous-Bois is a notorious Parisian ghetto. True, the wooded, gently rolling slopes of this borough to the north-east of the capital are stacked with residential blocks, yet there are no telltale burned-out blocks or abandoned lots. Clichy is kempt. It was though in this almost wholly immigrant community that the death in 2005 of two Muslim youths fleeing from police sparked some of the worst and most widespread race riots seen in Europe for generations. There are today 5 million Muslims in France, the largest population in western Europe, largely as a result of the country's colonial past in north Africa. And their presence has increasingly since the 2005 riots been a central issue in French society. In 2009 the government instituted a national enquiry, with town-hall meetings and debates that resulted in much hand-wringing, over what it means today 'to be French', not least in the light of the country's ban on wearing the full Islamic veil in public. Now there is widespread belief that with the far-right National Front led by the charismatic Marine le Pen, there may be a re-run of the 2002 shock elimination by the party of one of the main contenders in the first round of voting. 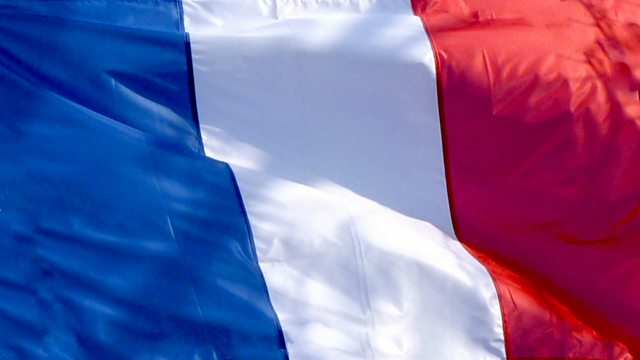 In this programme, Julian Jackson, Professor of modern French history at Queen Mary, University of London, visits Clichy and meets the men and women who are at the heart of the debate - Jean-Francois Copé, chief of Sarkozy's UMP, Harlem Désir, Socialist MP and founder of SOS Racism and Marine le Pen to discuss what being French is all about and how they reconcile the fraught arguments over race and religion.